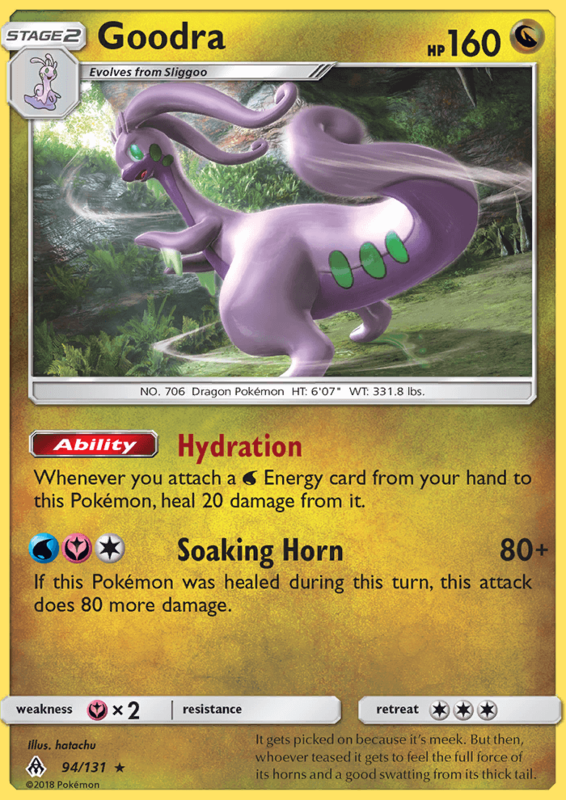 Whenever you attach a [W] Energy card from your hand to this Pokémon, heal 20 damage from it. If this Pokémon was healed during this turn, this attack does 80 more damage. It gets picked on because it’s meek. But then, whoever teased it gets to feel the full force of its horns and a good swatting from its thick tail.